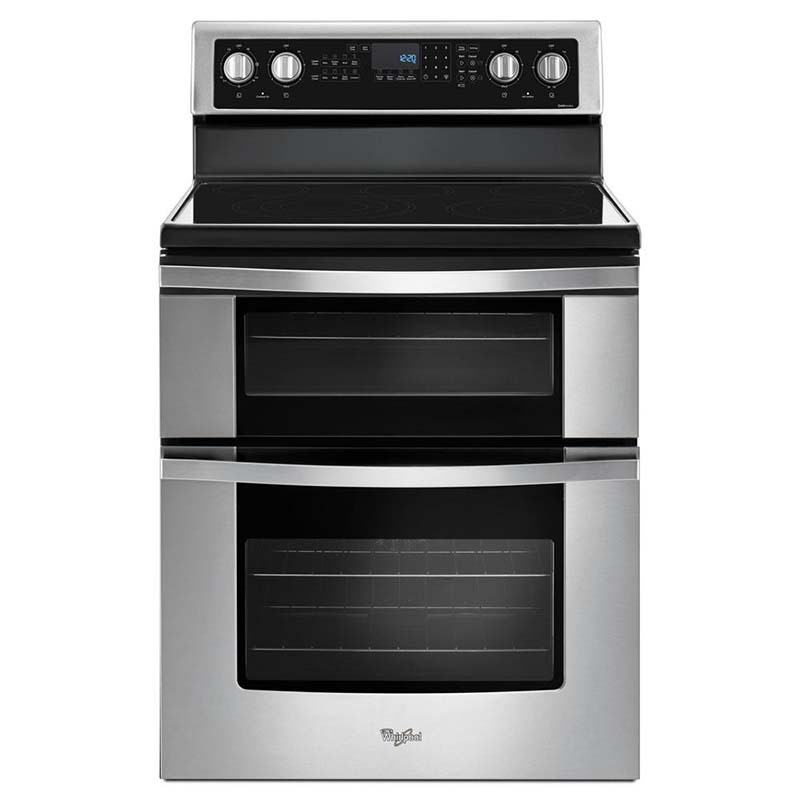 Showcase your culinary skills with Whirlpool's 6.7 Cu. Ft. Range, featuring Frozen Bake technology. Its convenient double oven contains 2 racks on bottom and 1 rack up top, making it easy to prepare mutiple dishes at once. This sleek and stylish model has 5 burners, including one FlexHeat triple radiant element which is essentially three elements in one!